ABOVE: PUBLICIST AND PUBLISHER JOANN LOCKTOV. This week my Instagram feed has been awash with exciting, real time images from this year’s Venice Architecture Biennale, making it quite timely to tell you about JoAnn Locktov and her Fabster’s journey — one which culminates in her valiant campaign to save Venice, the city she first fell in love with twenty years ago. 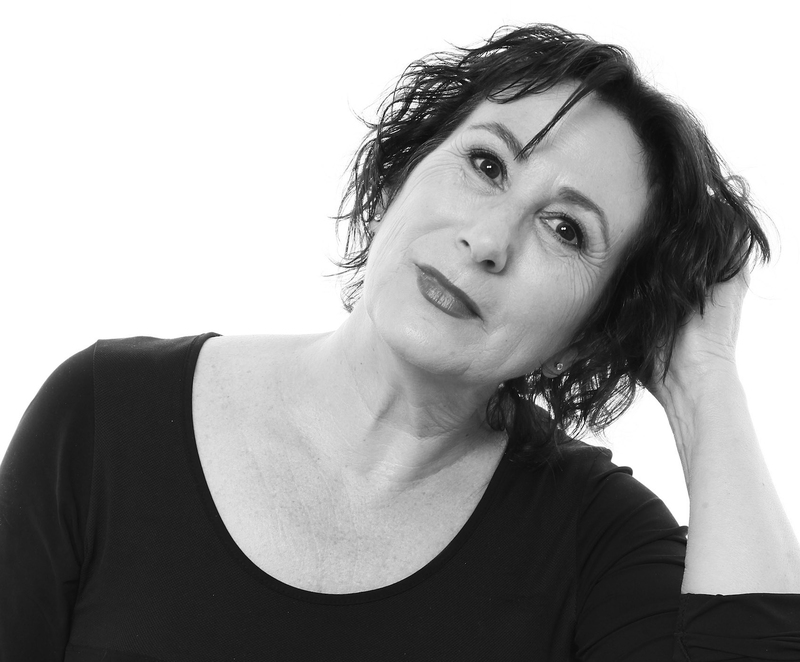 San Francisco-based publicist and publisher JoAnn Locktov of Bella Figura Communications has never been shy about exploring her interests in art. From the moment she graduated from UC Berkeley with her parent approved albeit, thinly veiled Economics degree — obtained in spite of taking more classes in Art and Art History than in Economics — she has always worked in a creative industry. From “un”- covering the actor Kevin Costner to writing four books, two on mosaics and two on Venice, her endless curiosity has knocked on various doors. Armed with her friendly and generous soul, every door she’s gone through has led to the opening of another, resulting in a journey of chance encounters that have shaped her life path significantly. ABOVE L & R: THE COVERS OF DREAM OF VENICE, PUBLISHED IN 2014 AND DREAM OF VENICE ARCHITECTURE, PUBLISHED IN CONJUNCTION WITH THE 2016 VENICE ARCHITECTURE BIENNALE. ABOVE: SANTA MARIA DELLA SALUTE, OTHERWISE KNOWN AS THE “WEDDING CAKE” CHURCH WAS DESIGNED BY BALDASSARE LONGHENA IN 1630 AND COMPLETED IN 1687. “IT WAS BUILT AS AN OFFERING TO DELIVER THE CITY FROM A DEVASTATING OUTBREAK OF THE PLAGUE,” JOANN SAYS. 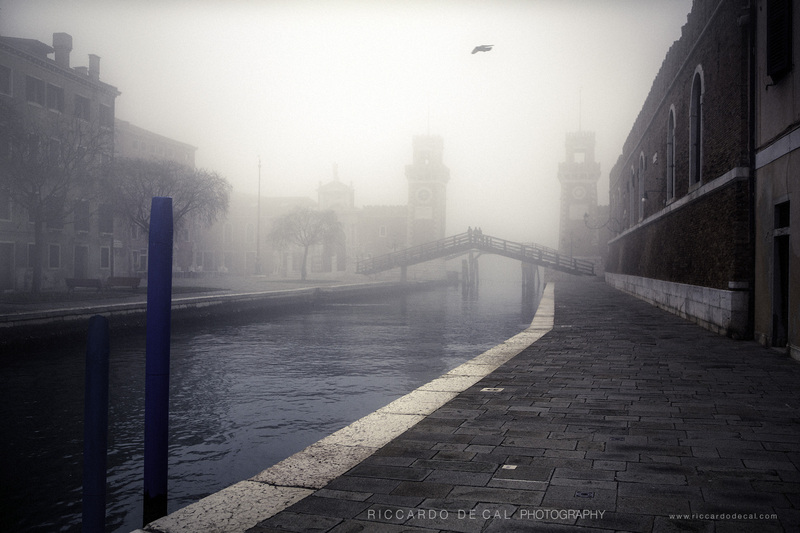 “I LOVE THE SPIRIT OF GRATITUDE THAT PERVADES VENETIAN HISTORY.” PHOTOGRAPH BY RICCARDO DE CAL. FF: One of your first creative ventures involved Kevin Costner. Please explain. JL: When I was at Berkeley I met a film student. We decided to make a movie, he would direct and I would produce. We raised independent financing and then had to hire a cast. We had the worst time finding the lead actor until one day a young, handsome stage hand walked in, he was still wearing his tool belt. His name was Kevin Costner and the camera loved him. He starred in our film, which happens to be one the worst films ever made, but Kevin, the director, Jim Wilson, and the writer, Michael Blake, went on to Hollywood success. I left Los Angeles (a pluviophile doesn’t do well in relentless sunshine) and returned home to the Bay Area where I became a development director for PBS, raising funds for their national programming. Love, marriage and two babies ensued. ABOVE L: A PORTRAIT OF JOANN BY CECELIA GIUSTI, A MOSAIC ARTIST IN MODENA. ONE OF JOANN’S CLIENTS COMMISSIONED THIS PORTRAIT OF HER FROM HER TWITTER AVATAR. ABOVE R: A YOUNG JOANN ENJOYS A BOOK. FF: Tell us about your obsession with mosaics. JL: We lived in a little vernacular bungalow with a brick fireplace. I decided it needed to be covered in mosaic, but had no idea how to get this done. 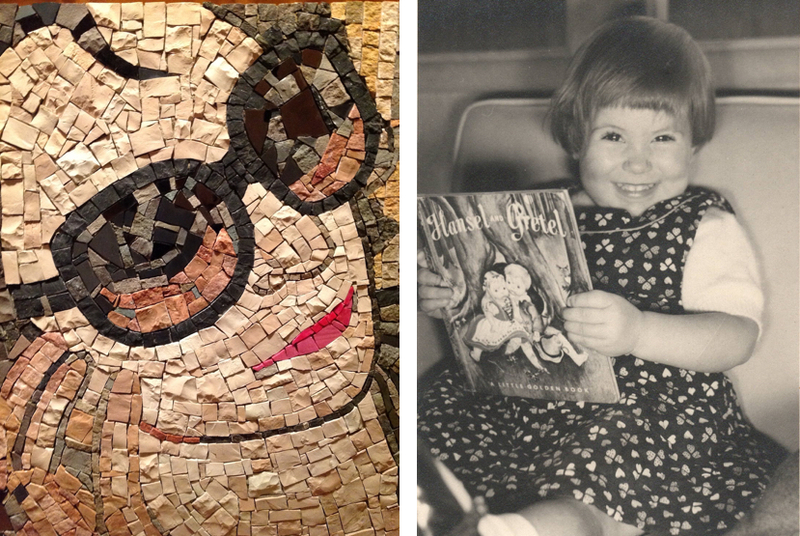 Endlessly curious, I wrote two books about contemporary mosaic artists. I never became a mosaic artist myself, but I was fascinated with the craft. The first book was in 1998, and my publisher wanted me to include international artists. Somehow I accomplished this before the World Wide Web was a daily fact of life (I remember we sent a lot of faxes). I still live in the house with the mosaic fireplace. 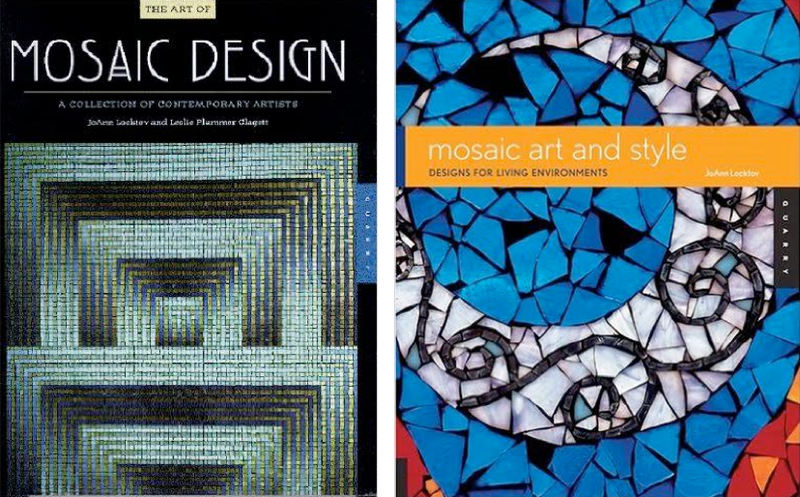 ABOVE L: JOANN’S FIRST BOOK MOSAIC DESIGN WAS PUBLISHED IN 1998. ABOVE R: HER SECOND BOOK MOSAIC ART AND STYLE WAS PUBLISHED IN 2007. FF: How did you transition from being a development director at PBS to a publicist? JL: The cover artist of my first mosaic book was a Venetian artist. We met several times and became friends. His family had a mosaic foundry in Venice and he decided to open a mosaic school and house students in a B & B that he added to the family palazzo. But in this case, he built it and no one came. So, he hired me to promote his school and the accommodations. It was a match made in heaven. I loved Venice, and I loved mosaics. I was a founding member of the Society of American Mosaic Artists, so I had a community to involve in this exciting Venetian opportunity. I had never done PR before, but it is a very logical profession. The “P” actually stands for perseverance. I was referred to other clients in Italy and eventually clients here in the US. I’ve been a publicist for eleven years and my specialty is design. ABOVE: “MORE THAN ANY OTHER CITY, VENICE EMBODIES A DEFINED URBAN FORM, COMPACT FABRIC AND UNITARY BODY COMPOSED BY SUCCESSIVE HISTORICAL TRANSFORMATIONS. COMPOSING AN EXTRAORDINARY STRATIFICATION OF THESE AGES AND DISPARATE CULTURES, VENICE TODAY PRESENTS ITSELF AS A PRIVILEGED PLACE, RICH IN HISTORY AND MEMORY.” QUOTED FROM ITALIAN ARCHITECT MARIO BOTTA IN DREAM OF VENICE ARCHITECTURE. PHOTOGRAPH BY RICCARDO DE CAL. FF: Venice — what brought you to the city the first time? JL: I first came to Venice in 1996. It was one of those “big” birthdays and I decided to treat myself to an adventure in Italy. Venice was the first stop and I was completely unprepared for my reaction to the city. I was the walking embodiment of the Fran Lebowitz quote, ““If you read a lot, nothing is as great as you’ve imagined. Venice is — Venice is better.” I was determined to find a way to incorporate Venice into my professional life. At that time I was a stay-at-home mom, so this aspiration was completely pazza. But the universe has a lovely way of turning dreams into reality. The Venetian mosaic artist hired me in 2005, there it was, a professional life that incorporated Venice. 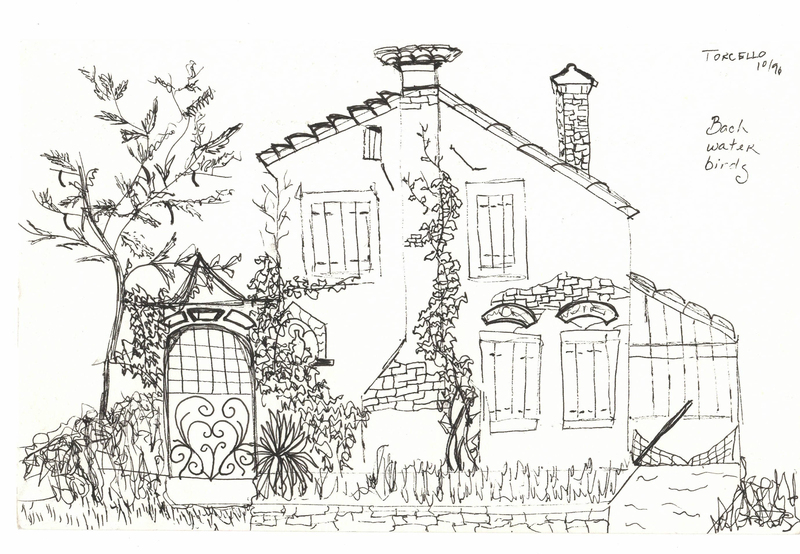 ABOVE: ON HER FIRST TRIP TO VENICE IN 1996, JOANN DREW THIS SKETCH OF TORCELLO, A SPARSELY POPULATED ISLAND AT THE NORTHERN END OF THE VENETIAN LAGOON. 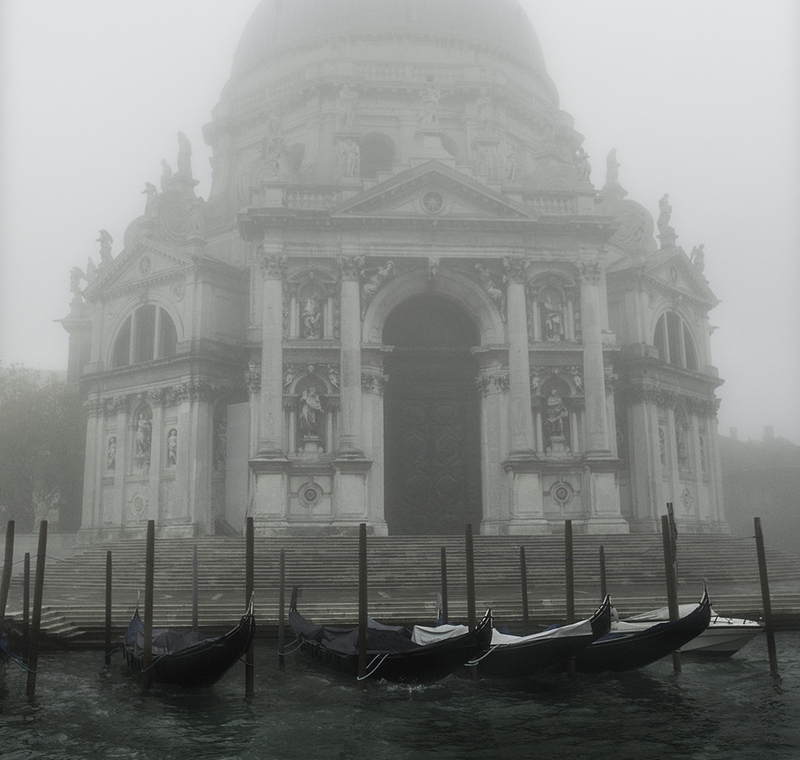 FF: How did the Dream of Venice books come about? And how did you go from publicist to publisher? JL: Fast forward to 2011. I had visited Venice many times since that first starstruck trip. I kept falling deeper in love with the city, unable to resist her siren’s call. I met Charles Christopher on twitter (yes, don’t laugh) and was riveted by his photography. Venice may be one of the most photographed cities on Earth, but to create images that tell a new story is actually very challenging. Charles took photos of the city that revealed her secrets and I asked him if he’d like to do a book together. We wanted to present Venice as a living city and asked contemporary writers to share their thoughts. The book would be an anthology of words and images. After over 40 rejections from traditional publishers, it became very clear that there was only one person intrepid enough to publish this book and that’s how I started Bella Figura Publications. Dream of Venice came out in 2014, and we sold out in 10 months (and have since re-printed). The second book in the series Dream of Venice Architecture launched on May 28, in conjunction with the 2016 Architecture Biennale. Riccardo De Cal photographed this book and the process was different. We first asked architects and architectural writers to send us their thoughts about Venice. And then Riccardo took a photo for each essay. 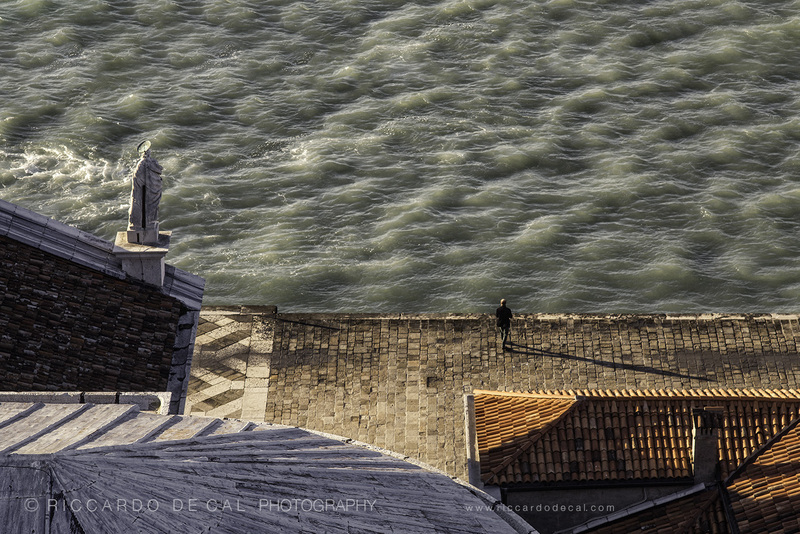 He will be the first to tell you, that Venice is the most difficult city to photograph, to find her soul. 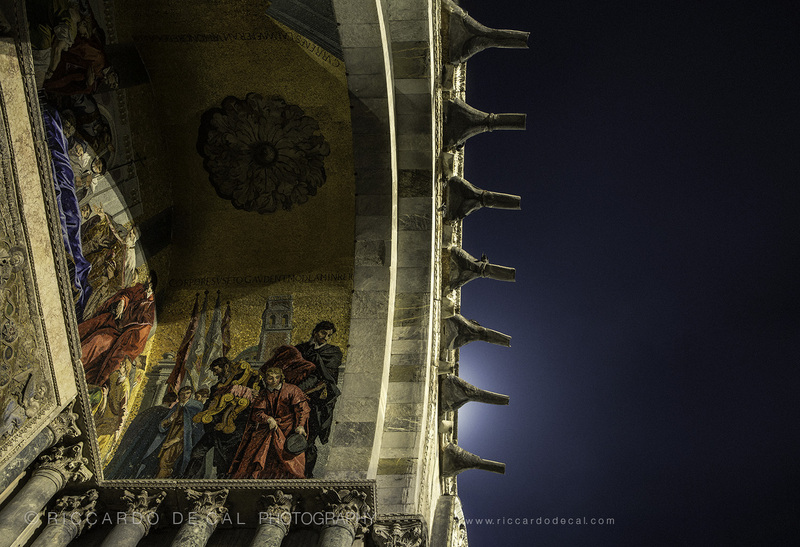 ABOVE: “NEAR MIDNIGHT, THE BELLS OF THE BASILICA OF SAN MARCO TOLL IN A PARTICULARLY INSISTENT WAY: THEY CALL THE FAITHFUL TO THE RESURRECTION MASS. IT IS THE END OF HOLY WEEK IN A VENICE OVERFLOWING WITH TOURISTS AND ONE FEELS IN THE AIR THAT SPRING HAS ARRIVED — THE BRONZE CLANGING IN THE SILENCE OF THE FULL-MOONLIT NIGHT HAS A RHYTHM AND PULSE THAT DRAWS ME TO THE GREAT PIAZZA AND I ENTER THE TEMPLE.” QUOTED FROM LOUISE NOELLE, THE FORMER EDITOR OF ARQUITECTURA/MÉXICO IN DREAM OF VENICE ARCHITECTURE. PHOTOGRAPH BY RICCARCO DE GAL. FF: What does Venice mean to you? JL: Venice is fighting for her survival; she is besieged by tourists, corruption, and environmental negligence. I find it impossible to be idle while I witness her destruction. I want the books to reveal a vital city that is too remarkable to neglect. ABOVE: “VENICE WAS BUILT WHERE NO LAND EVER EXISTED. WATER RUNS THROUGH HER VEINS. BRIDGES, PALACES, CHURCHES, EVERY STRUCTURE IS A TESTAMENT TO THE RESILIENCY OF IMAGINATION,” JOANN SAYS. 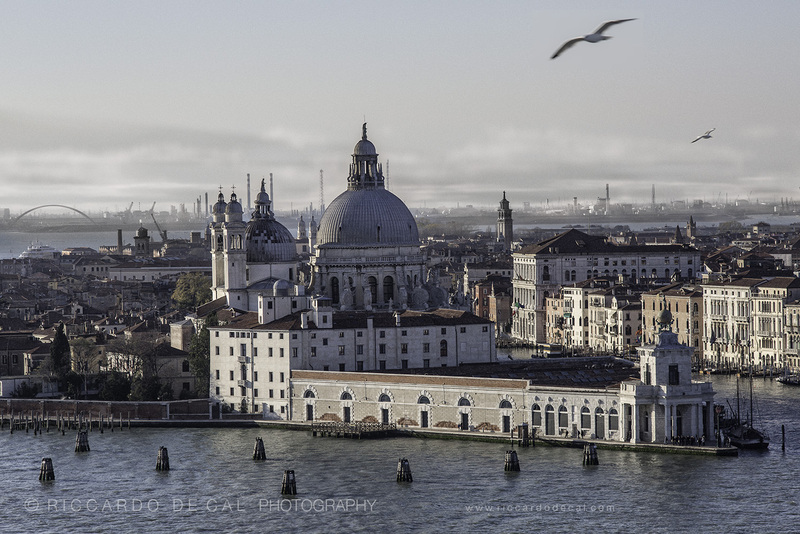 “IF WE CAN UNDERSTAND WHAT VENICE OFFERS US, WE WILL RESPECT HER FRAGILITY. WE WILL CONTINUE TO LEARN HER LESSONS, AND CHERISH HER EXISTENCE.” PHOTOGRAPHY BY RICCARDO DE CAL. FF: Any Wardrobe Wisdom — Venetian style? JL: I long ago discovered the ease of a black wardrobe and will add white reluctantly if it is over 70 degrees. I believe in incorporating the hand crafted into all aspects my life, and have invested in the work of several Venetian artisans: hand painted velvet from Fiorella Mancini, hand crafted shoes from Giovanna Zanella, and modern glass jewelry from SENT. ABOVE: JOANN DONS AN ELEGANT BLACK OUTFIT ON THE STREETS OF VENICE. PHOTOGRAPH BY SAXON HENRY. JL: It is so strange that we will think nothing of spending $30 on a bottle of wine and yet, hesitate to spend $30 on superb olive oil. I’ve learned that a robust, authentic olive oil is a basic necessity of life. Frances and Ed Mayes name each of their Tuscan olive trees and I’ve joined their Bramasole Convivium so I will never be without their liquid poetry. There is always a bottle of prosecco in my fridge. With olive oil and prosecco, you are ready for anything. JL: I create, read, work, and walk. I eat oysters as often as possible. And of course, there’s always Venice. Above: Saving Venice. Artwork by Christine Chang Hanway. A Fabulous Fabster thank you to JoAnn Loctov! There is no doubt in my mind that you have always been a respectful and responsible tourist, Rebecca! All the best, Christine. Grazie di cuore, Christine. I’ve been fortunate to arrive at so many “open doors” in my life, and the wondrous support of lovely women like you who help me traverse this serendipitous path. Ah JoAnn, it is I who must thank you for such wonderful material from your serendipitous story to the beautiful books and their photographs! All the best, Christine. How wonderfully you have captured my passionate, creative, fabulous friend JoAnn Locktov and her beautiful books. And that watercolor is Da Bomb! Brava! Thank you so much, Nancie. It’s so reassuring to know from a good friend of JoAnn’s that I have captured her well. All the best, Christine. JoAnn and I were at Berkeley together many, many years ago! See you in OBP. Oh how funny — small world. Maybe we can get JoAnn to come out to OBP… See you soon and all the best, Christine. 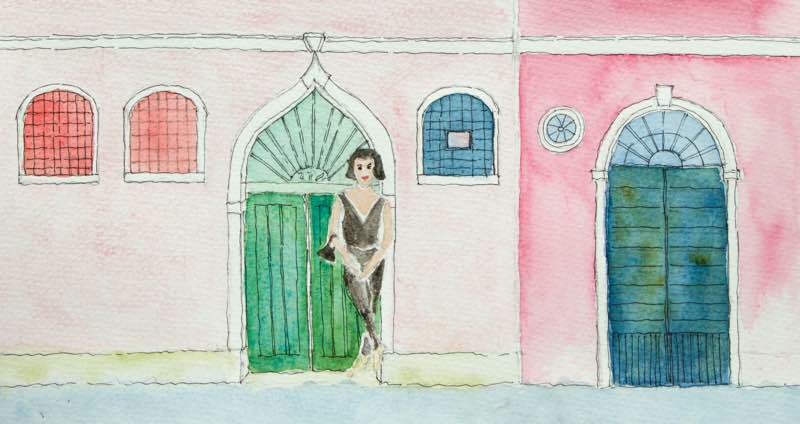 Beyond publishing her Dream of Venice series through her imprint Bella Figura Publications, JoAnn Locktov is a dynamic resource on the subject of Venice. Venise me manque Chaque jour je l’espère je l’attends Dans une autre vie j’ai été vénitienne tant mon coeur mon corps sont tatouées d’elle. Je suis à toi Venise .Je t’aime .